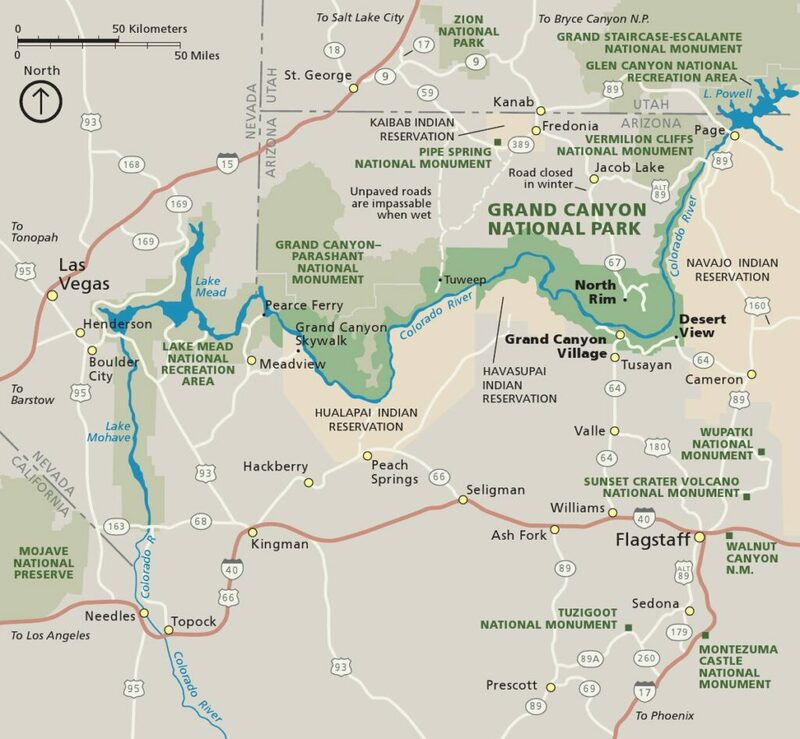 Although the Colorado River has been carving the Grand Canyon for over 6 million years, the Grand Canyon National Park will celebrate its 100th birthday in 2019. During 2019, the Park will commemorate its past and work to inspire future generations to experience the majesty and resources that the Park provides. Native American tribes have always known and visited the Grand Canyon area. Spanish explorers led by Hopi guides reached the canyon in the 1540s and were forced to turn back due to the depth and vastness of the canyon. In 1858, Lt. Joseph Ives’ expedition reported that the canyon would likely not be able to be visited by white settlers due to its seemingly unnavigable size. These initial daunting reports likely kept early explorers from attempting to traverse through the Grand Canyon area. 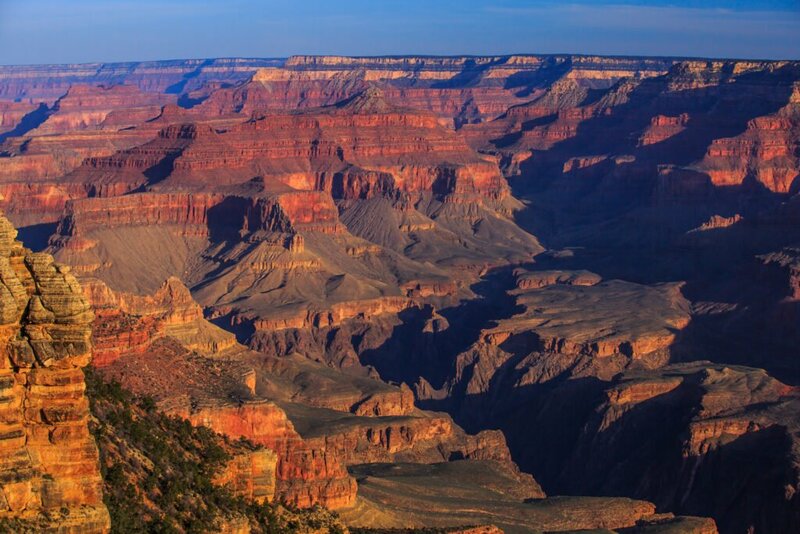 But it wasn’t until February 26, 1919 when President Woodrow Wilson passed the bill to create Grand Canyon National Park to preserve the land for public use. Later, in 1979, the Grand Canyon National Park became a World Heritage Site through UNESCO. 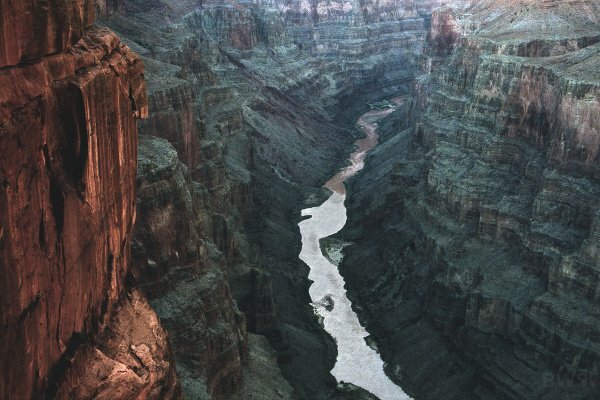 The sheer size of the Grand Canyon is difficult to comprehend through photos or words. Much of the canyon is over a mile deep, 15 miles wide, and 277 miles long, carved through geologic formations that are over 1.7 billion years old. The vast majority of the Grand Canyon National Park is extremely rugged and remote, and many places are only accessible by pack trail. The most popular viewpoints, such as the South Rim, are visited by over 90% of the park visitors. Roughly 30 miles of the canyon along the South Rim is accessible by the road. The North Rim, about a 220-mile drive from the South Rim, gives access to the Kaibab Plateau and Bright Angel Point. The Centennial celebration events will include a historical symposium, a living history week, and an effort to showcase some of the lesser-known sites through social media and other events throughout the year. Focused ranger-lead talks on the geology, cultural history, and natural resources will be available as well. For a real sense of the canyon, try a guided Trekking Tour. The best way to celebrate the Grand Canyon on its 100th birthday is to see it for yourself and take in the natural wonders spanning 13,000 years of human life, and eons of time before that. A full list of the Park’s Centennial Celebration events can be found on their calendar. There are four developed campgrounds within the National Park (none of the campgrounds operated by the NPS have RV hookups). The Park is very popular, so make reservations well ahead of your visit. The Mather Campground on the South Rim is open year round. There are concessionaire-operated RV parks with full hookups in the Grand Canyon Village as well. NOTE, despite the Federal Government Shutdown at the time of this article, the Grand Canyon National Park is running at almost 100 percent thanks to the State of Arizona subsidizing partial park operations, volunteers, and local private businesses. The park is open and free during the shutdown. This is awesome, however is it open, due to the Government shutdown? We have been blessed to have seen the Grand Canyon 4 times. We thank Arizona for supporting this wonder of nature while the unfortunate actions of politicians who were voted by their constituent who refuse to come to an appropriate consensus allows this to happen. It is a choice! I wonder if the president has ever seen the Grand Canyon or any of the beautiful national parks that are further away. than a helicopter ride? Keep up the good work all you volunteers. We volunteer at state parks and know you love your park too. Do you think the scumbags Schumer and Pelosi have seen the Grand Canyon National Park? My guess is only if it would somehow get them voters. Terry, your vitriolic, tribal post is, to this forum, akin to throwing trash out the window of a Winnebago because you couldn’t find a parking space. Spare us all, please. Terry, please. We go to the Grand Cayon for the panoramic views of nature’s powerful hand, not the views of butthurt Republican tribalists. On my first vacation after 35 years of working I took my family to the north rim of the Grand Canyon. The key word in that statement is “working.” My response was to an uncalled for statement about someone who has worked and been extremely successful, including becoming president of this country. Last summer I traveled over 9000 miles with my wife and son and enjoyed many beautiful sites in this country. I hope to meet you one day at a campsite and discuss the virtues that are Pelosi and Schemer, and his niece Amy Schumer. How is “wondering if the president has ever been to the Grand Canyon” an uncalled for statement?!?? We ALL need to keep our political views to ourselves! This was nothing more than a nice story about the beautiful Grand Canyon; can’t we just leave it at that? !